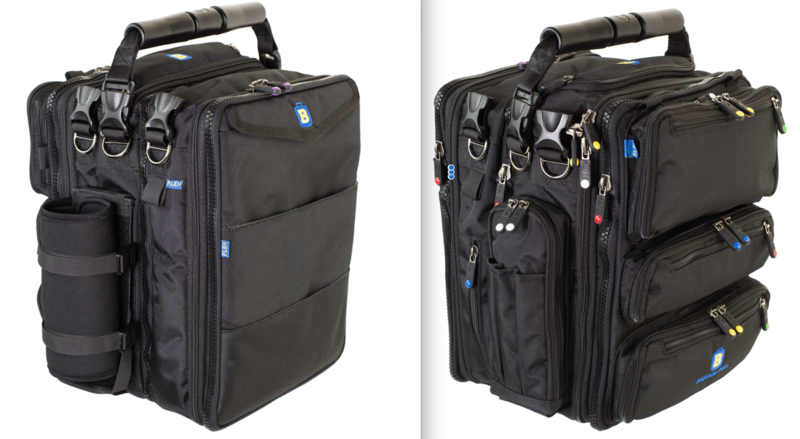 Brightline configurable gear bags target pilots that need a multi-functional bag with excellent organizational features. A bag that can change its capacity and features to meet the needs of any given day. A large bag one day for charts and large manuals for long hauls and a trim laptop case with an exterior pocket for walking around a distant city the next. All from the same bag. Gamers deploy, even to a local game day, with dice, pens, combat maps, snack, electronics and miscellania. Keeping gear accessible, but organized is a challenge. Even worse, a convention trip requires a different bag than a local game day. I have seen many solutions, from duffle bags and backpacks to rolling file drawers, but none were great solutions. Brightline might be that solution. In a first for me, I politely accosted a stranger on an airport shuttle to ask about his bag because it looked…exotic. Though not a pilot, he worked in aviation and found Brightline’s bags through a pilot acquaintance. The plethora of compartments and exterior pockets caught my eye, but the kind fellow went on to explain that Brightline bags come in customizable configurations. His model was a “B7 Flight” (pictured above) with no other options added. 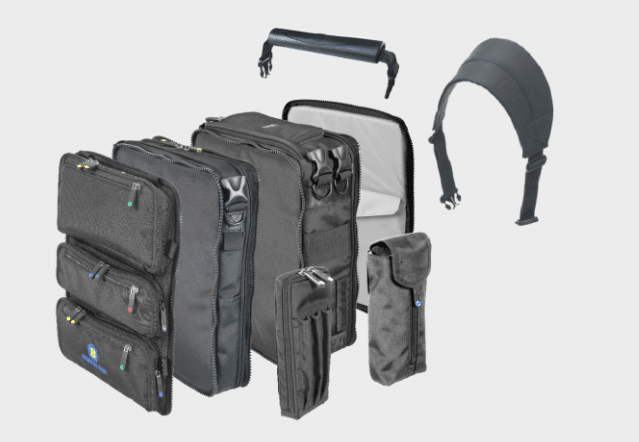 If you visit the Brightline website you can design a custom bag by adding components (The Flex System.) Here is a breakout of how the components fit together. There are many more options and you can swap them out easily with a zipper. The video below is a great introduction to the system. One of the more recent development from Brightline is the “FLEX Array” option. The Array kit is a base plate with velcro loops on it. 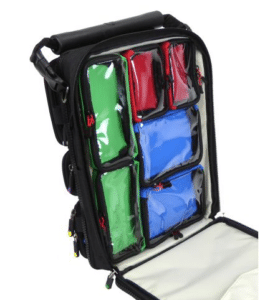 You then add a variety of small, removable, velcro-backed zipper pouches and put the whole thing into one of the center sections of your bag. My first thought was buying “Pick and Pluck”/custom cut foam from other vendors for miniatures in the center sections. 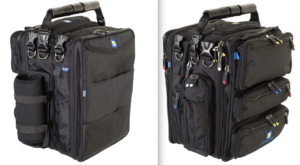 This is not a review because I have no first hand experience with the Brightline bags, but they looked perfect for carrying gamer gear, so I thought them worth a post. I also contacted them and they are considering a trip to Gencon in 2018. A Brightline bag is on my radar as a potential purchase and I will let you know if I get one. That said, you have one of these bags or pick one up, please drop me a comment and let me know what you think.